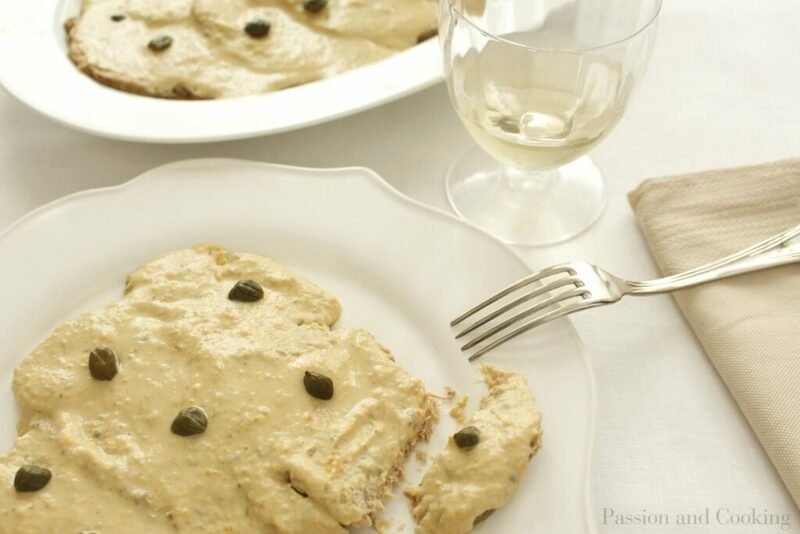 Vitello tonnato, or vitel tonè, is a classic of the Italian cuisine, but one in which you can have meat and fish in the same recipe, an uncommon combination. This recipe is typical of the Piedmont, in northern Italy, a region which has strong historical influences from neighboring France. There are many cities in Piedmont that boast of having “given birth” to this appetizing dish: among these we should surely recall Alba and Garessio, where it is said that you can taste the country’s best vitello tonnato. This is a perfect dish to enjoy on a hot summer’s day; it’s light and delicate. You can serve it as an appetizer, or as a main course accompanied by grilled vegetables or a salad. My recipe is lighter than the traditional one, because I substitute the mayonnaise in the tuna sauce with yogurt. It is easier to digest and less caloric. The preparation is easy but it takes some time because the meat has to remain in the broth when cooling. If you plan a dinner, you can cook the meat the day before and store it in the fridge overnight. 2. While the meat is cooking, prepare the sauce. Drain the tuna and place in a food processor, add the anchovy, capers, yogurt, stock and some pepper to taste. Process to a creamy consistency. If it is too thick, add an additional tablespoon of stock. 3. Finely slice the meat. Arrange a layer of meat on a serving plate. 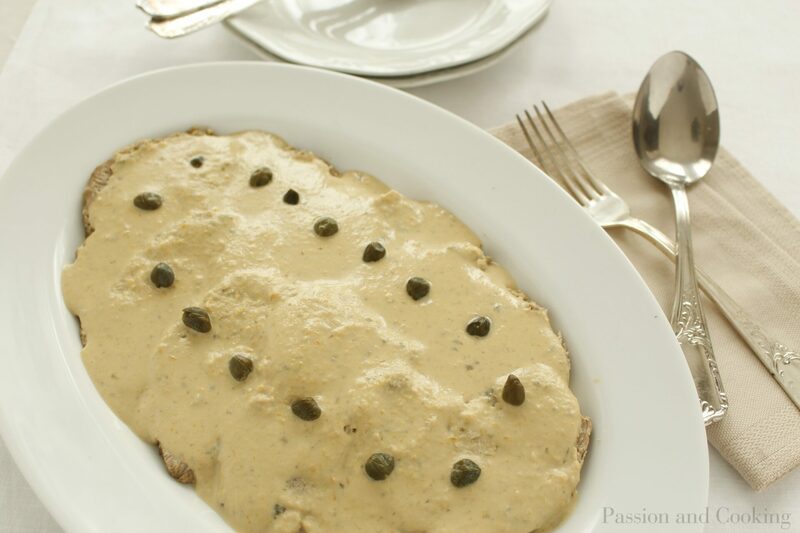 Cover with the tuna sauce and garnish with some capers. Cover with plastic wrap and refrigerate for at least 15-20 minutes. Remove from the fridge and serve. Love, love, love this dish! Haven’t had it for ages, though… I’ve only made it the traditional way with mayonnaise—will have to try this light version next time. What’s your opinion of alternative meats like pork or turkey? Sacrilege?